Stuart and his Fabulous Superlatives took to the stage to adulation from the crowd. 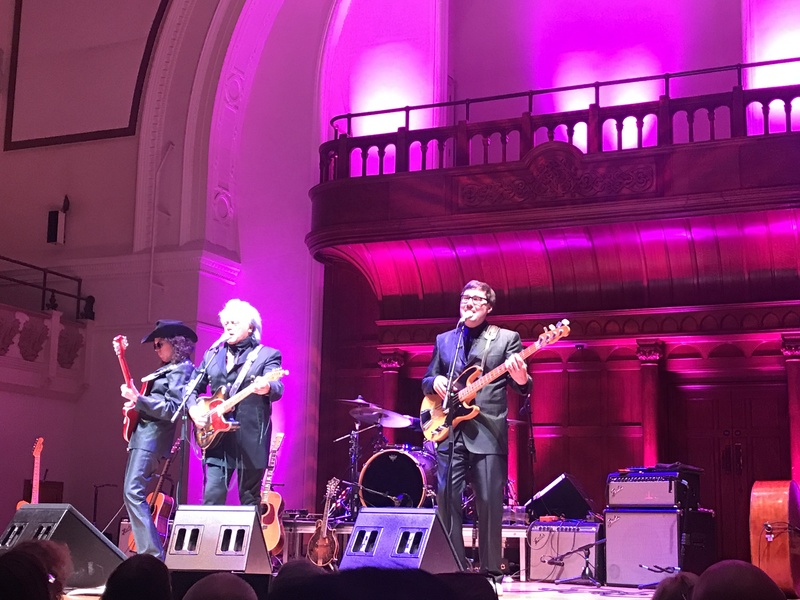 The foursome, all dressed in black, opened the set with Stop The World and then Whole Lotta Highway from the latest album Way Out West with Stuart visibly pleased with himself after nailing a particularly excellent solo. Country Boy Rock and Roll followed. Wonderful guitar playing, high octane stuff indeed. The Whiskey Ain’t Workin’ was honky tonk at it’s finest and became a singalong. Stuart proudly introduced his band; Kenny Vaughan on guitar, Chris Scruggs on bass and Harry Stenson on drums. What Stuart overlooked was that Stenson is a ringer for William Roche from Coronation Street and Scruggs for Hank Marvin from the Shadows. Mojave followed, another track from the latest album, and Tempted kept the tempo high. 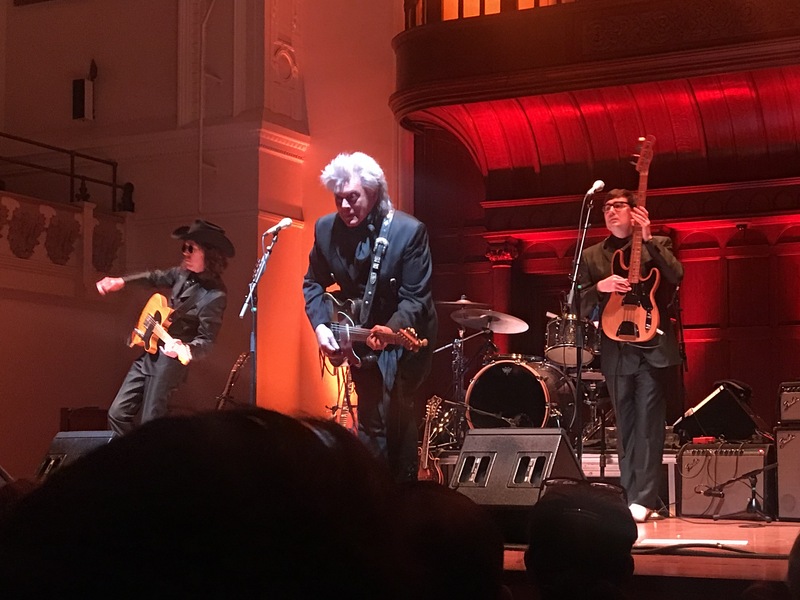 Stuart switched to an acoustic guitar for the ballad Old Mexico with Stenson coming front of stage with snare drum round his neck, and Scruggs on standup bass to produce marvelous three-part harmonies. Midway through the show Kenny Vaughan took the vocals on the boogie numbers Country Music Got A Hold on Me and Hot Like That which brought great playing from the band. 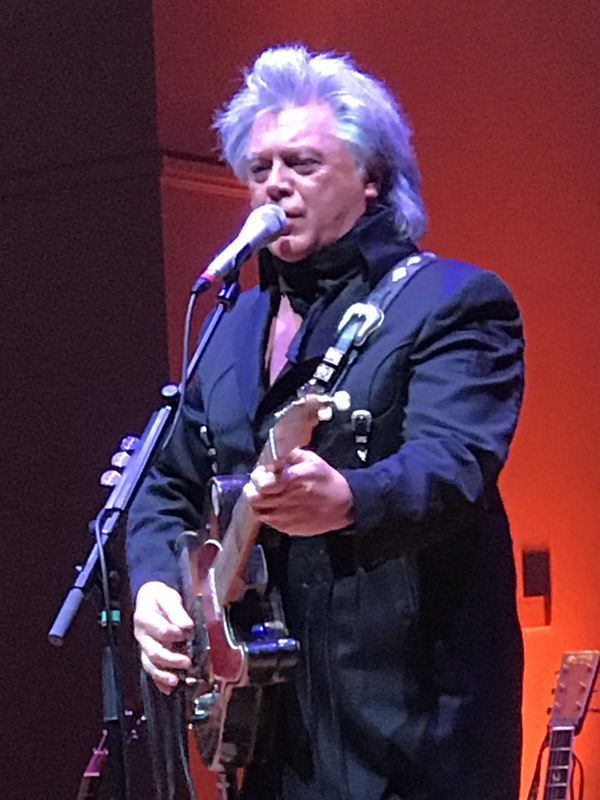 Stuart told the audience that his favourite album is Johnny Cash at Folsom Prison and he played two numbers from it, The Wall and Greystone Chapel. Stuart said that these were some of the songs that brought him to country music and it’s important that we keep real country music alive. 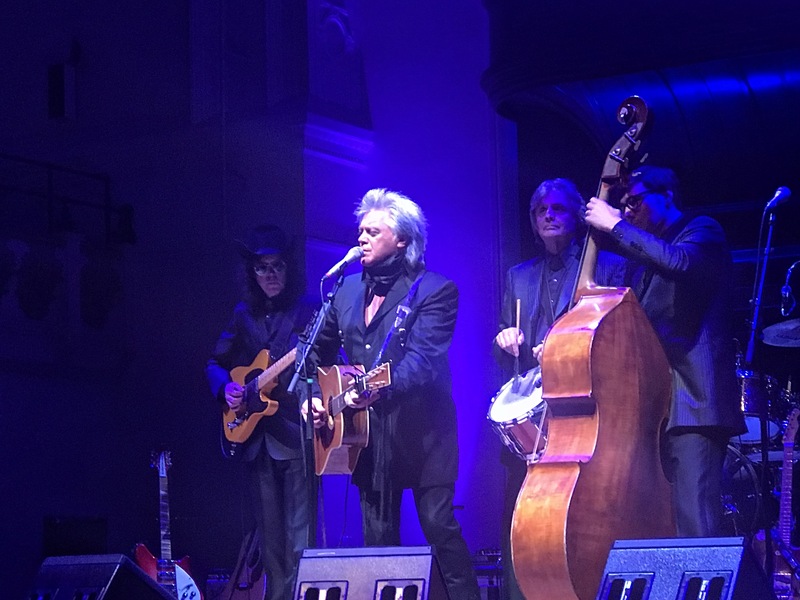 He switched to mandolin for El Paso and let his companions take the spotlight with Chris Scruggs taking a solo number and “Handsome” Harry Stenson leading on Pretty Boy Floyd by Woody Guthrie. Stuart then showed his mandolin prowess with a stunning Orange Blossom Special bluegrass performance par excellence. The mandolin is sometimes seen as a novelty instrument, but not in the hands of Stuart who would give Chris Thile a run for his money. For the encore there was the barnstorming Time Don’t Wait and Hillbilly Rock. To finish, with Stuart again on mandolin, was an incredible instrumental rendition of House Of The Rising Sun. After the song ended the stunned crowd took a couple of seconds before the hall erupted with rapturous applause and cheering. 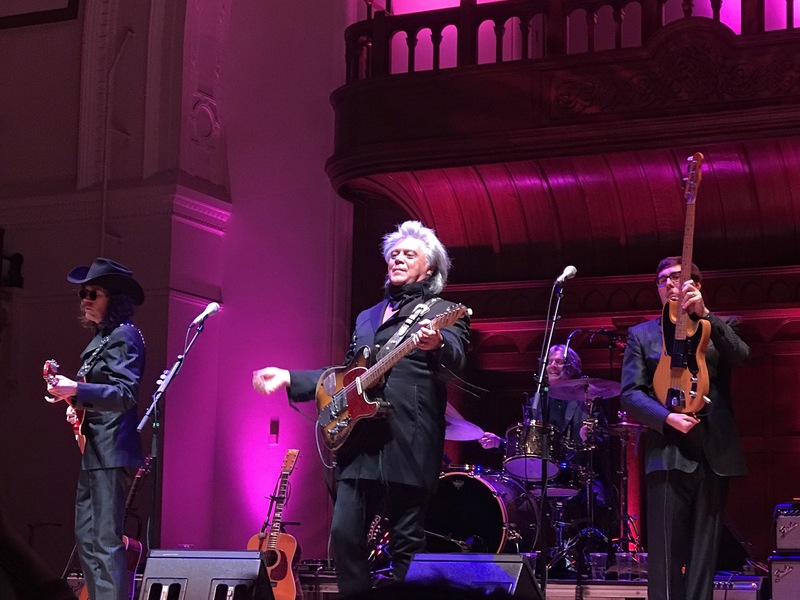 Johnny Cash may be the man in black, but Marty Stuart and his Fabulous Superlatives are men in black who are quite something. There are not enough superlatives to say how fabulous this performance was.